A few weeks ago, I was involved in a Twitter conversation about supporting Black businesses. As a result, I wrote a blog post compiling a list of Black-owned beauty brands. This past weekend, I had hoped to do some last-minute Christmas shopping at a new Black-owned pop-up market in Boston called Black Market. Unfortunately, there was an ice storm, so I wasn’t able to make it. But I hope to get over there in the near future. Whether it’s spending money at Black owned businesses or helping to spread the word about them to others, I believe that it all helps. 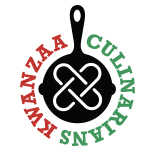 The Kwanzaa principle Ujamaa means cooperative economics and focuses on supporting businesses that care about our community. Given the current political climate, we may want to elevate the notion of Ujamaa to another level. By thinking about using our money as a collective and influencing politics. Using our money as a group to support political candidates who support our community is also cooperative economics. After Doug Jones won the Senate election in Alabama, we learned that it was Black women’s overwhelming support that was the deciding factor. #BlackWomen was trending on Twitter and everyone was thanking Black women. But what’s the next step? The blog Awesomely Luvvie has compiled a list of 100+ Black women that are running for office around the country in 2018. It’s a work in progress and a group effort. Organized by state, the list has links to information about each candidate, providing a way to donate money directly. Black voters are participating in record numbers and swinging the vote towards those who will benefit our community. As a group, our financial support can bring a whole new wave of candidates to the fore — increasing our political power and giving us more seats at the table. And speaking of tables, this is still a food blog and there is a recipe in this post. It’s Michelle Obama’s winning cookie recipe. When the Obamas want to splurge and have dessert, they have Mama Kaye’s White and Dark Chocolate Chip Cookies, which were created by Sasha and Malia’s godmother. I adapted the recipe by cutting the recipe in half and eliminating Crisco. Butterscotch chips were used in place of mint chocolate chips. Dark chocolate chips replaced milk chocolate chips. The recipe makes about 2-½ dozen cookies. These are some of the most decadent cookies I have ever made. So good! I’ll be adding them to my regular cookie rotation. Maybe you will too. Enjoy! Pre-heat oven to 375°F and set aside an ungreased cookie sheet. In a medium bowl, combine butter, sugars and egg. Stir in baking soda, salt and vanilla. Use a tablespoon to scoop dough onto cookie sheet. Bake cookies for 10 to 12 minutes or until they’re golden brown. Remove the cookies from oven and let cool for about 5 minutes. Use a spatula to remove cookies from the cookie sheet to cool further on a wire rack or plate. Lisa C. Johnson is a food blogger, freelance writer and attorney based in Quincy, Massachusetts. She blogs at Anali’s Next Amendment. This entry was posted on December 29, 2017 by Lisa Johnson in 2017, Recipe, shopping, Ujamaa and tagged black women, butterscotch, chocolate, cookies, Cooperative Economics, desserts, politics, Ujamaa.